I am excited to be stepping in today for the lovely Julie Ebersole on the Ellen Hutson CLASSroom for a Hello Monday video. Here is a little sneak peek of my project featuring the newest United We Flourish stamp set called Good Friends designed by My Favorite Things. Please visit the Ellen Hutson CLASSroom to see the full card and video tutorial. Also Ellen Hutson is generously offering $50 store credit to one lucky person who leaves a comment on this post. UPDATED: GIVEAWAY NOW CLOSED, CONGRATS KAILISH! Love this stamp and die set! Your card is SO ADORABLE!!! Thanks for sharing and giving me some inspiration! Tour card is spectacular over there! I especially admire your coloring. I've just seen the post on EH'blog! I loved your sweet cards!!! Chari loved your video, all the little extra you added are fabulous for your sweet card! Tis is absolutely adorable Chari, I love this little wiener dog! Love this card so much! Thanks for sharing! Super cute card! Love this stamp set. Thanks for sharing your process video. Cute card, I want this stamp set. Loved your video and adorable card! I loved your video Chari! The card is super adorable and I liked how you did the brushing on of color for the heart! Saw your cute card over at Ellen Hutson! Thanks for sharing a video and the tip with the masking paper and clarity brush! This is a really cute card, Chari!! Both of your cards are adorable!! Thanks for the tips and video tutorial! The dog is so sweet! Looks like a great new set. What an adorable stamp set with such great sentiments! Your cards are too cute. Thanks for the inspiration. Super adorable cards, love the CAS design too! Love the soft look with the make up brush ink blending and the colored cardstock cats are so quick to do! Thanks for the awesome video tutorial. Chari these cards you made are just SO cute!!!!! 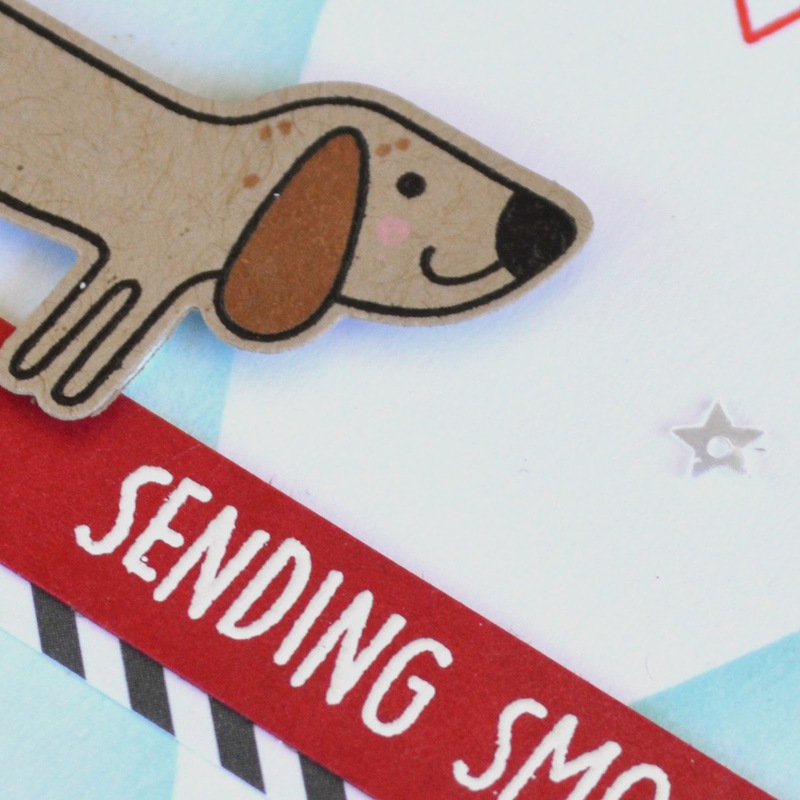 I love how you creatively used colored paper to stamp the adorable dog and cat images on. It really makes your cards unique and playful. I love how light and airy your cards are - they’re so whimsical and fun with the bright colors. I can’t say enough good things! I absolutely need this set now :) thank you so so much for sharing!!!! Just checked out your cute cards at the Ellen Hutson site. Thanks for including the video and your awesome tips. Saw your delightful cards at the Ellen Hutson blog. Love how cute the designs are!! Really cute card, Chari. Love how you so cleverly colored the dog- simple but highly effective. That doggie is adorable! Off to check out your video! Seriously adorable new stamp set! I’m off to check out the EH blog! masking. You make it look so easy, it makes me want to try it! Thanks for the video. These are so cute! Loved the masked hearts! What a fun stamp set. Such a cute card too! Such a cute card!!! Thanks for sharing! Love that cute pup and the kitties too! The set is adorable, and I love your cards over in the CLASSroom! love your cards and this set is adorable! Your two cards on Ellen’s blog are so cute. Love all the bonus tips you shared, too. I tend to avoid masking but love the results. Guess I better get out of my comfort zone and practice! Your cards are just adorable ! Hi dear Chari. Happy New Year! Can I ask you who is the winner? Thanks for answering!!! The winner was Kailash, my friends at Ellen Hutson send her the code via email.